The founder of Karity is named Isaac Rami. He says that hen his wife sent him to pick up a few things for her at a local beauty counter that he had some serious sticker shock. His sotry goes that he went home and as determined to find out why these products cost so much. He realized that these products cost so much because of the cost of traditional marketing, celebrity endorsements, sales agents, wholesale markups and then retail markups. 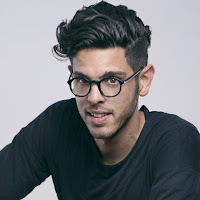 He decided that he could create a beauty brand that had high quality products and deliver them for a super affordable cost but cutting out the middle man and growing organically. Karity (which is the maiden name of the founder's wife), is rapidly growing, but still new. It has a limited amount of available products, but new ones are in development and quickly being added. The brand is supposed to offer high end and sleek packaging with quality products for a super affordable price. Their products are cruelty free and they currently pledge to donate to help feed an animal for every palette sold. It looks like their promise is to feed one animal for every palette through their local shelters. However the brand intriguingly states that they plan to change their charitable contributions every year to a different focus, so I am interested to see what might come up next. Karity is a small and fast growing brand. They only have a handful of products so I will go over the few I have personally tried. The Karity Lip Lock is the businesses major viral item. It boasts to be a comfortable matte liquid lipstick that lasts all day for $6. Seems to goo to be true? I had to try it. In three words? I love it. 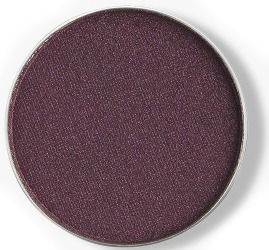 It lasts all day, its comfortable and it's incredibly pigmented. You can get a more detailed review here. The concealer palette surprised me as soon as I tried it. I picked it up with low hopes because I was paying for shipping to try the Lip Lock, so I might as well try this right? 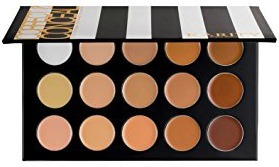 I had been looking for a new concealer palette. This is highly pigmented. It doesn't crease and it has a buildable coverage. You can see my full review by clicking here. The Eye Shadows were (I believe) the companies launch product. They have a few palettes (from neutral schemes, some fun mixed palettes and some bolder arrays) as well as eye shadow singles. They also sell refillable "travel chambers" which are basically empty metal palettes. These are pigmented, silky and honestly of the quality that I see from major prestige brands like MAC, Anastasia Beverly Hills and others, but it's $4 per pan as opposed to $12+. I do wish that the shadow palettes had tins that were compatible with magnetic palettes like their singles do, but hopefully that will change in the future. You can see a more detailed review here. The last thing I have personally tried from Karity is a couple of makeup brushes. I do not have a separate review for these. I bought the Angled Eyeliner Brush (E22) and the Small Contour Brush (F21). They are soft and they are sturdy. I didn't have a lot of loose fibers even after being washed several times. Both have been added to my prokit. I actually like the Angled Eyeliner Brush better than the MAC Synthetic Angled Brow Brush 208, which is a $20 brush while the Karity is a $3 brush. I am overall stoked for this brand. I truly feel that their products are thus far very high quality and affordable. I am floored by it to be honest. It's not just a one hit wonder item, but a full line. I just put in my second order and I am stoked to try out their new brow products, eye shadow primer, and makeup removal wipes. I think this company is making a splash in the beauty industry and with their low shipping prices, I encourage you try them out too. Use the code FRIEND-C6H9JVH at checkout for $5 off your order of $10 or more! If for some reason the coupon code isn't working, click here for $5 off.